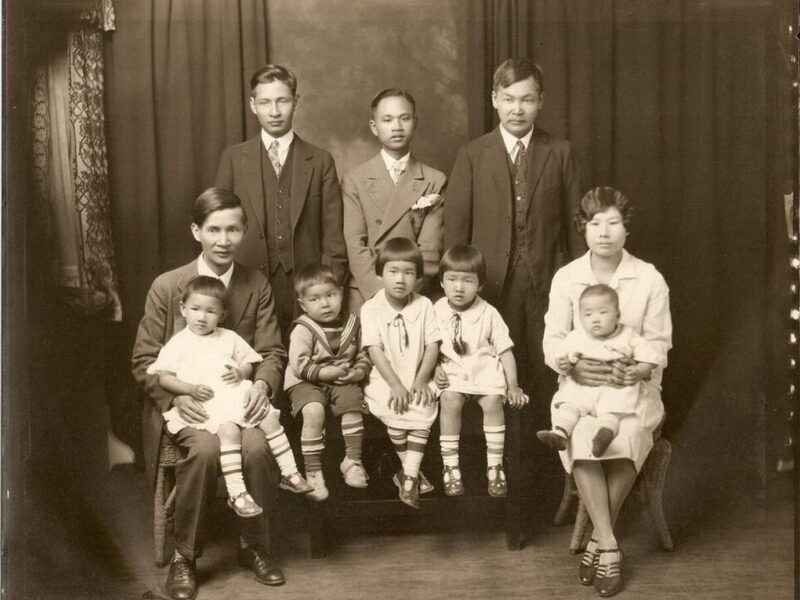 Yee family clan, photo from Laura Wong. Mamie is at the centre, third from the left. 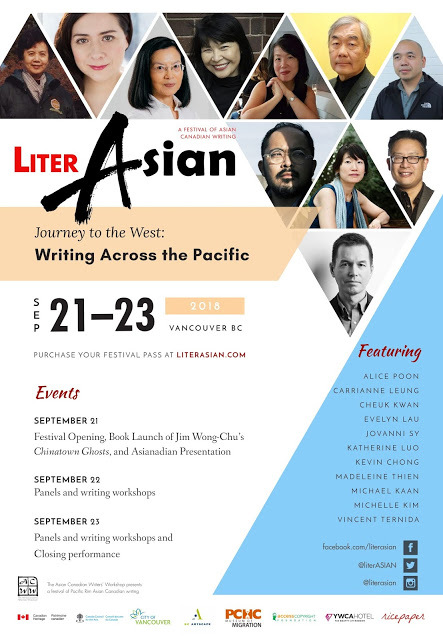 I am a Vancouver-born Asian Canadian and have lived in this city my entire life. While I am a fifth-generation Canadian on my father’s side, and consider myself very “Canadian,” I am also of mixed heritage, which adds complexity rather than clarity about my identity. I very much connect with my Chinese heritage because of my wonderful grandmother Mamie Wong. Throughout the many years of eating delicious, but ginormous meals and while being berated for eating too little in typical 奶奶 (mama in Cantonese) fashion, I learned more about her life story and in the process came to admire her and the way she understands her own identity as a Chinese Canadian woman. I once interviewed Mamie about the years she spent in China for over three hours. Mamie was visiting China during the Sino-Japanese war in the 1930’s, and had witnessed a very tumultuous time in China. 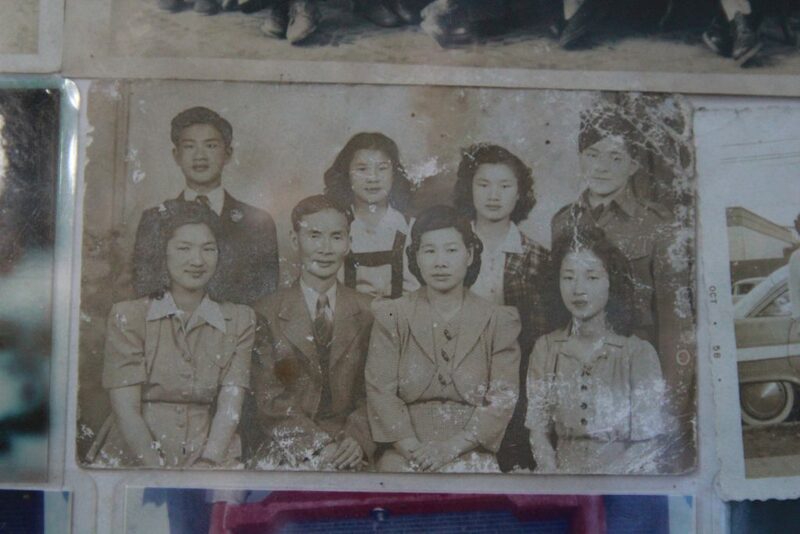 She can distinctly recall hearing airplanes fly over the small village in Canton (now Guangzhou) where she lived and the panic that filled the village when news would arrive about the approaching Japanese army. Mamie’s time in China instilled in her an intimate knowledge of Chinese culture, which she carried with her through all aspects of her life. Her experience in China gave her a unique perspective on Canadian culture. Mamie’s outlook on both cultures is very interesting because to her they are completely intertwined. When Mamie left rural Regina, Saskatchewan for Canton (Guangzhou) with her three younger sisters and younger brother, she was only nine years old. At the time her parents had planned for her and her siblings to receive what she called a “Chinese education” and by this, she hypothesized her father, Yee Clun, wanted them to learn about Chinese culture and to learn his native language of Cantonese. Mamie and her family took the trip across the Pacific in 1932 on the “Empress of Asia” which lasted for eighteen days. She remembered quite vividly having to sleep in the lower decks of the ship and the heavy rocking of the boat as they sailed, finally landing in Shanghai. Cosmopolitan Shanghai was a world lit on fire for Mamie. Being born in Regina in the 1920s made her fairly used to being a minority, so it was interesting to see the diversity of Shanghai. Compared to quiet Regina, Shanghai was an extremely busy city, bustling with crowded streets. It was a complete culture shock to Mamie. During their short stay in Shanghai, all seven of them shared a hotel room that was situated above a nightclub. She distinctly remembered the harsh cold of the city seeping through the thin walls of their cramped tiny hotel room. Luckily for Mamie, her family only stayed in Shanghai for a couple nights before going to Hong Kong. The family stayed in Hong Kong for a time, as their boat only docked there for before departure for Canton. Though Mamie does not recall much from her first trip there, her family was forced to return to Hong Kong as the war with the Japanese escalated. Before heading off to Canton to go to school, the family stayed in a nearby village for a short time. A rural village, Mamie had to shower and use the bathroom outside. She noticed certain things were done differently and particular details that seemed off to her. For example, there were chicken heads displayed in the windows of storefronts and ancestor worship rituals. As she was very young the nuances of these traditions and ceremonies were lost on her, she viewed them at the time as “superstitious and needless.” In most of the homes in the village were little holes in the floor, along with a lot of incense. She postulated that these holes were perhaps there for both ritualistic and pragmatic purposes. Mamie found out later on her life that her father was actually an atheist and that he did not personally see the need for his family to participate in the religious aspects of Chinese culture. This ideological outlook would later affect the way Mamie and her husband Ding Wong raised their four children, as they grappled with their Chinese identities along with their Canadian ones. Mamie is in the front row, sitting first from the right. Mamie’s public school life in Canton was rather short-lived. She learned how to read and write in Chinese and being treated well by her classmates. However, by 1938, her family was forced to leave to Hong Kong when Canton was occupied by the Japanese. Mamie, her siblings, and her mother escaped to Hong Kong after hearing from neighboring villages that the arrival of Japanese soldiers was imminent. Though she never encountered any soldiers, Mamie remembers staying in a barn overnight and the prickly feel of the hay through her clothes. The journey while arduous was relatively safe. Upon returning to Hong Kong, Mamie felt as though it was even more crowded than the previous time she was there. Her stepbrother, who was adopted by her parents during their time in Canton, and her father stayed in Canton and did not go to Hong Kong with them. The rest of the family lived in a room above a restaurant, where her, her four siblings, and her mother all shared one double sized bed. Mamie and her siblings attended high school in Hong Kong. She appreciated the fact that there was running water in Hong Kong, but not clean enough to drink. In December 1941, the family returned to Canada on the Empress of Japan. Because the ship was owned by Canadian Pacific Steamships, it was renamed the “Empress of Scotland” since Canada and Japan were enemies during World War II. Mamie and her family’s return to Canada was not an easy one. Initially Yee Clun had not intended for his family to return to Canada, as he had already retired and wanted to live out his retirement in China. However, the war was escalating between Japan and between the Communists and the Kuomintang, which forced the family to flee back to Canada. Yee Clun was going to return to China again after World War II had ended, but he could not do it because he was an avid supporter of the Kuomintang. Instead, the family settled in Vancouver. But Mamie’s mother was nearly turned away at the Canadian border because she was not born in Canada and she had left the country for more than five years. When Mamie was 28 years old, she got married to a young man named Ding Wong. Together they started their own family and had four children. Ding was born in Hong Kong, but due to his parents’ divorce at an early age and the war with the Japanese, he lived much of his life on his own. His father was an opium addict, making him unable to provide a secure home for Ding. At the age of 26, his mother sponsored Ding to join her in Alberta where he went to highschool; he later obtained his accounting degree at the University of British Columbia. Mamie strongly identifies with her Canadian identity. She situates herself as a Chinese Canadian but recognizes that she is really an outsider to Chinese people from the mainland. Ding also had a very interesting relationship with his heritage. He strongly relates to being Chinese; however, he greatly resented his life in China and never visited again. His attitude towards Chinese culture translated into the way their children were raised. The family also mainly ate Chinese food and Mamie usually shopped at Chinese grocers, as she continued to use her Cantonese even while only speaking English to her kids. Mamie and Ding did not have a traditional marriage for the standards of 1950’s marriages. While Ding did work and fulfill the role as a provider, he also took an active part in child-rearing and housekeeping. Ding would bathe the children, change their diapers, wash the dishes, and vacuum. He was an equal partner in all components of the marriage, though Mamie does note that he did have quite the temper. Together they found a way to balance the blend of Canadian and Chinese culture. Although Mamie and Ding never pressed their children or grandchildren into having a “Chinese education,” both of them saw the value of both Chinese and Canadian cultures coming together. Mamie would never admit it out loud, but she likely faced discrimination simply for looking Chinese. It would not have been uncommon given that she was born in 1922. This did not take away from her love of Canada and her ability to navigate between the dynamics of the two cultures. Mamie’s relationship with her own identity helped inform my relationship with mine. Growing up, I never thought of being “Chinese” as cool. There were not a lot of Asian people in the Western media that I could relate to, so I did not have any idols. My grandmother is my idol. She taught me that a person can fit into any place, be it Regina, China, or Vancouver, as long as they carry with them the lessons passed down to them from their family. Her parents showed her what it meant to “Chinese” and she shows me what it looks like to accept every part of oneself. In her tiny frame, she is a solid, unwavering presence and she knows exactly who she is. Laura Wong is of Asian Canadian of Filipino, Spanish and Chinese descent. She recently graduated from Simon Fraser University, where she majored in History. This essay is from a paper submitted in a History course at HIST 390 “Ethnicity and Identity in East Asia: Taiwan, Manchuria & Beyond” taught by Dr. Weiting Guo at Simon Fraser University. 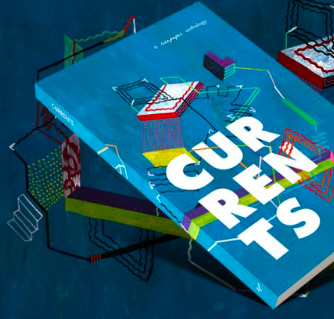 You have written a very interesting and beautifully written essay on your Chinese roots. You are fortunate to learn so much from your forebears stories. Enjoy those special moments with them.